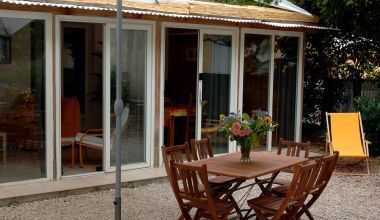 At the back of the hotel, the Richiardi has rooms overlooking a naturally shaded garden. 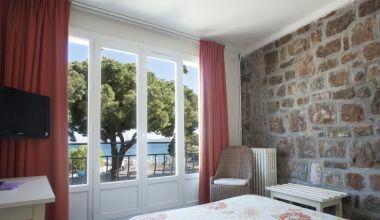 Above Carqueiranne's small port, the hotel Richiardi is fortunate to be just yards away from the Peno beach, with the Pradon beach only slightly further away. This fine sandy shoreline has the advantage of being sheltered from the wind. Just as on Peno beach, there are convenient showers close by. Fancy a full breakfast by the sea? Croissants, breads, butter, jam, fruit, cereal, yoghurts, fruit juice, ham, cheese. Contact us directly by telephone to book your hotel room.